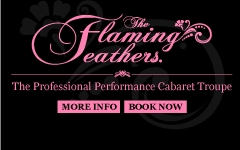 The Showgirl Academy are delighted to be working with The Charleston Charlies! 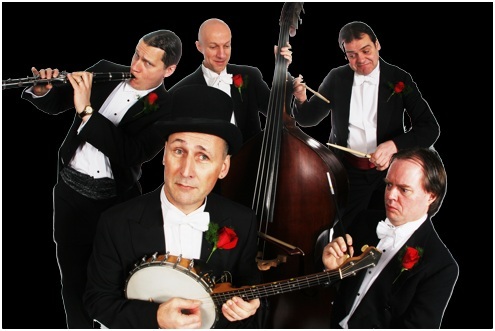 The Charleston Charlies play popular hits from the roaring 1920’s and can be booked as a duo or a quintet. Transform yourself into a burlesque scarlet, 50’s pin up or 20’s flapper with our vintage photo shoot. Our photo shoots are fun, relaxed and supportive and you will leave with beautiful images you can cherish forever. You will also leave feeling much more confident about yourself and your body too! You will be working with an experienced and friendly photographer and director, so don’t worry if you have never done a shoot before, you are in safe hands. We have a big dressing up box to play with, is there a better way to spend a winters afternoon?! The 3 hour session includes a mini makeover, posing class, personal director and your top 10 images on disc. Gift Vouchers available. This would make an ideal Christmas present for someone special. This is strictly limited to just 10 places. By popular demand we have booked in another Back In Time Workshop for 2012! Venture back to the 1920’s and travel through the decades to the 1960’s whilst learning a feast of vintage dance styles. Learn the knobbly knees quirky style of the 20’s Charleston, then the infectious kicks of 30’s/40’s swing dancing. Pick up the pace even more with some twists and flicks of the 50’s jive (no partner needed!) and then save your last bit of energy for the psychedelic style that is 60’s go go dancing! Get a group of you together and book onto our Back In Time workshop for a truly enjoyable dance experience.